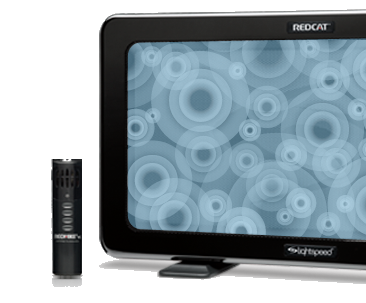 One small REDCAT sound panel easily fills classrooms with the intelligible sound of a teacher’s voice. REDCAT produces exceptional clarity, no matter where a teacher stands, or students sit. It helps save the teachers’ voices by letting them speak naturally. Think of the REDCAT with exciter technology as advanced, yet simple. So how does it work? 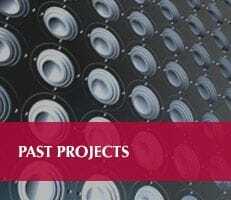 A series of exciters apply sound energy directly to the REDCAT sound panel, “exciting” the voice signal. Energy from the exciters is transferred to the sound panel surface, and every point across the surface radiates the sound—sending it evenly throughout the classroom. The exciter technology helps students hear the critical higher frequencies of their teacher’s voice. Microphone and sound panel system are so perfectly tuned they prevent feedback, no matter where teachers stand. Audio exciters and electronic tuning blend to create clear, natural sound from a small sound panel. REDCAT takes advantage of the natural voice and sound reflection from classroom walls, ceiling and floor. REDCAT defines out-of-the-box usability. Its all-in-one design means no complex install, no steep learning curve. Imagine a handful of pebbles cast upon a pond surface. The rippling waves reach every inch of the area, just as they would reach every ear in class. 16" x 2" x 9"